It's hard to believe but is true. Budget smartphones are giving tough competition to the flagship counterparts in the looks department. And at the same time they pack in some compelling features too. It's hard to believe but is true. Budget smartphones are giving tough competition to the flagship counterparts in the looks department. And at the same time they pack in some compelling features too. Honor's 9N is one such offering that dares to compete against the best - Xiaomi Redmi Note 5 Pro. 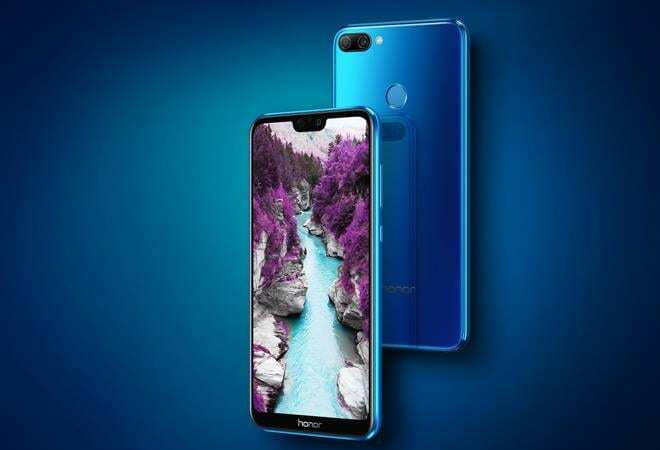 Design: Glass rear is becoming a standard in flagship devices and Honor has used it on 9N too. The rear of the device is done in glossyglass, giving it a premium feel. Honor has mastered many shades of blue; my review unit was in blue and it looked stunning. The smartphone company seems to have borrowed the best from the flagship siblings as the 9N looks very similar to Honor 10 in terms of the design -- bezel-less display with a notch at the front and a glass rear in blue. However, the 9N does not have a dual colour reflective pattern as on the Honor 10 but a mirror-like effect. Honor has kept the rear clean -- horizontal dual camera setup on the top left, circular fingerprint sensor towards the centre and Honor branding towards the bottom. The only negative is that it attracts finger impressions. Display: In the world of overgrown phones, 9N even with a 5.84-inch display feels ergonomic and is comfortable to hold. Weighing 152 grams, it is 7.7mm thin. The display with 2280x1080p resolution looks bright with good viewing angles. Within display settings, there is also an option to switch between Full HD+ and HD+ resolution. The notch was turned on by default, which I personally prefer but there is an option to turn it off that turns the top bar black with icons for notifications, network and more. I enjoyed watching movies on Netflix and Prime Video in the bright display. Once I got over with my fixation of how good the Honor 9N looked,the first thing I checked post configuring the phone was its camera. Camera: Honor is the sub-brand of Huawei, which has mastered dual camera on smartphones (has also worked with Leica for its flagship smartphones). While the Honor 9N doesn't boast any such association, the camera app is loaded with various modes for capturing great pictures. For instance, there is an aperture mode for shooting photos in depth mode. While this mode works well on objects and humans, there is a dedicated 'Portrait' mode too. The Honor 9N gives a great level of customization within the aperture mode as I was able to control the background blur by adjusting aperture level in between 0.95 to 16. The images shot using the dual camera set up at the rear (13-megapixel primary sensor, and a 2-megapixel secondary sensor) came out well. There is also a 'Pro' mode for adjusting camera settings manually. Other modes include HDR, night shot, light painting, panorama and more. The images captured on the 9N looked good on the phone's display as well as social media accounts. Matching the rear camera is an equally impressive front camera with a 16-megapixel sensor. Even with a single camera module, it captures some great bokeh selfies. User Interface and Performance:Complementing the great looks and the superb camera is the overall performance of the phone. Even though all the apps are placed on the home screen, I was able to switch to the app tray view from device settings. Overall, the user interface is clean and it suffices the daily tasks such as handling emails, web browsing, imaging, music and video playback, and gaming with ease. It comes with the set of Google Services along with utility tools from Honor. One app that I often ended up using was the 'Phone Manager' that would instantly optimize the device performance. Unlike most of the devices powered by Qualcomm Snapdragon processor, Honor phones pack in its own Kirin processors. The 9N has the Kirin 659 onboard, which is paired with 4GB of RAM. In nutshell, there were no performance issues while using the phone. My review unit was the one with 64GB of internal storage, of which 52.16 was user accessible. The 3000mAh battery managed to last a day. But I ended up reaching for a charger because of excessive usage. Verdict: The Honor 9N is a great performer for Rs 13,999, but falls short when compared to Xiaomi Redmi Note 5 Pro.